Barely a year and a half after the last one, Ekso Bionics finds itself again under siege from a short attack. Even though the new damaging litany is clearly labeled “Important Disclosure: The owners of TheStreetSweeper hold a short position in EKSO and stand to profit on any future declines in the stock price.” there was still a significant negative impact on the stock value of Ekso Bionics. The owners of TheStreetSweeper.org stand to gain a significant profit when they execute their shorts. TheStreetSweeper.org have managed to reduce the stock price of Ekso Bionics by roughly 28% after two days of trading. This is compared to 38% initial drop from the 2015 short posted on Seeking Alpha Ekso-Bash: Trashing Ekso Bionics’ Image and Lessons Learned (June 2015). Congratulations are in order to TheStreetSweeper team writing a much shorter and succinct short attack than the last one, but it has had a lower initial impact. This is most likely due to Ekso Bionics now being traded on the NASDAQ and investors becoming more educated on the technology and their products. This was the point of the previous short attack, perhaps someone should sue for plagiarism? Adam S. Gottbetter pled guilty to stock manipulation for three other companies. There was never any evidence found to indicate that he has done anything wrong with Ekso Bionics’ stock. Furthermore, Ekso Bionics was recently listed on the NASDAQ (Ekso Bionics Now Trading on NASDAQ, August 2016). Surely, the lengthy applications process would have given plenty of opportunity for something fishy to come up, but nothing new was discovered. This is old news that tries to tarnish Ekso Bionics by association. This is again a line of attack that was used last year. The premise perhaps is that if hospitals are car customers and they drive a Honda, it would look bad if they bought a Toyota. This argument would be valid, but rehabilitation centers and hospitals are not car shoppers. Many of the rehabilitation centers try out multiple exoskeletons, sometimes as many as they can. After all, the technology and its correct utilization are still being researched. The Department of Veterans Affairs Palo Alto Health Care Systems for example compared three different exos: Comparing Indego vs Ekso GT vs ReWalk, Researched by VAPAHCS (September 2016). They concluded that the Ekso GT matched their needs most closely, but that in no way shape or form meant that VAPAHCS was dissatisfied with the other vendors (more on the competition later). 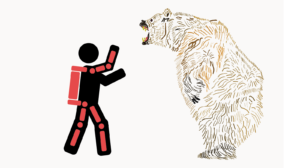 The attack article on Ekso Bionics continues by claiming that ReWalk Robotics, Rex Bionics, CYBERDYNE, Hocoma, AlterG, Reha Technology, Bionik Laboratories, SuitX (U.S. Bionics) and ExoAtlet are squeezing Ekso Bionics out of the market. Again, there is a lack of research by the authors (they just copied the above companies from the Ekso Bionics’ 10-K form). The list could have looked so much scarier if they had added Wandercraft, Marsi-Bionics, Axosuit, MediTouch, Gogoa, B-Temia, Motorika, Bama Technology, Roki Robotics, Hyundai, Toyota and half a dozen research labs all with their own devices. But should we be scared? If so many companies and universities are entering the medical rehabilitation exoskeleton field then Ekso Bionics, which has been working at this far longer, is really onto something. Remember, all but one or two of ALL of the listed companies are following in the footsteps of Ekso Bionics playing catch up. 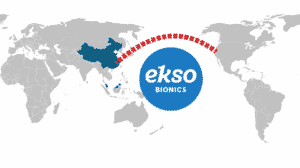 Ekso Bionics is located in the San Francisco Bay Area and the financial compensation for the leadership team of Ekso Bionics listed matches that of a middle manager in a technology company. The numbers may seem shocking compared to the average worker’s salary, but they are quite small compared to executives’ salaries in the bay. As it stands, all of the major exoskeleton manufacturers are embroiled in some form of trouble. Ekso Bionics is going through its second short attack, while CYBERDYNE is going through its first and ReWalk Robotics is facing a lawsuit. Out of the major exoskeleton companies, only the makers of the Indego are in clear waters under the protection of the lawyers of the giant Parker Hannifin Wearable Robotics Financial News – Summer 2016. The short attack also fails to mention that the Ekso GT is not the only product by Ekso Bionics, which has entries in the industrial and military subfields of the exoskeleton industry. The entire industry has a long way to go explaining what its products are about, how they differ from one another and why investors should get involved. Until then, the industry will remain susceptible to these types of short attacks. Modern Healthcare: Why can’t devicemakers and insurers get along?